M&C Saatchi PR believes in using its strengths to give back. This holiday season the company facilitated the following initiatives to contribute to those less fortunate. 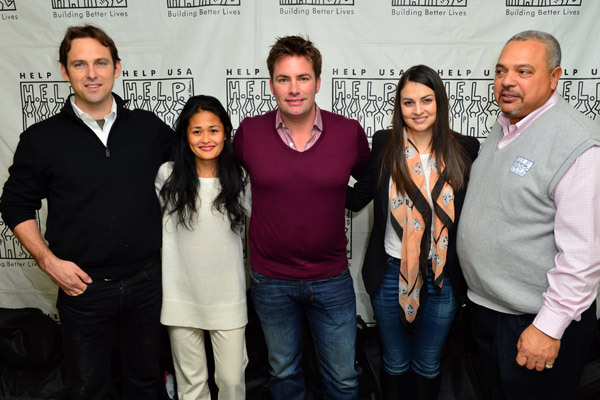 Leading up to Thanksgiving, the company donated pro bono publicity and events work to the nonprofit HELP USA in order to promote their contributions to helping the homeless in New York City. M&C Saatchi PR connected Help USA to Saban and facilitated a major Thanksgiving week event during which Saban's Power Rangers surprised residents of HELP Bronx Morris Avenue with a special delivery of gifts and Thanksgiving turkey and trimmings to more than 800 residents. M&C Saatchi PR donated its time to plan, execute, and promote the event. In addition, several staff members were on hand to distribute the dinners and toys to the families. Later this month, the entire company will be back at HELP USA volunteering at its domestic violence shelter in Harlem and at HELP Bronx Morris Avenue assisting with holiday preparations and decorations. Earlier in the season, M&C Saatchi opened its offices up to members of HELP USA who were displaced as a result of Hurricane Sandy.